The Opera Max app for Android can save users up to 60% data while streaming videos from YouTube and Netflix. We put this feature to the test and this is how the app fared. Opera’s data compression app - Opera Max, is being widely reported as a boon for Android users when it comes to saving Mobile and WiFi data. Why do we need compression? Well, if you are someone who consumes a lot of content online like pictures, videos and music, you are most probably using your smartphone to do so. Now, smartphone data plans are expensive, especially if you are using streaming services like Netflix and YouTube. Compression of such content can help save you a lot of money and bandwidth. This is where apps like Opera Max come in. Opera Max saves you data, extending your data plan and gives you control over your phone’s data consumption. At the back end, It sets up a VPN connection and passes your data through its servers, where the data is compressed. It’s actually pretty darn simple. 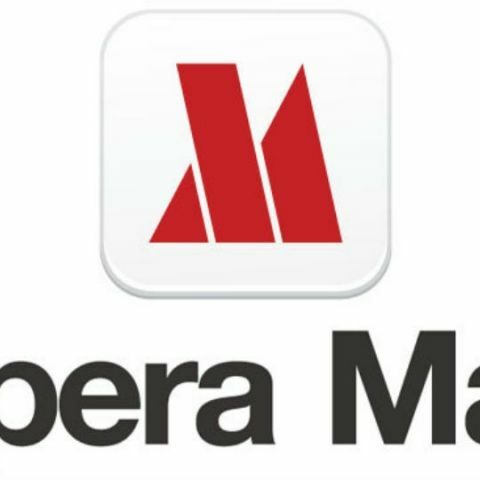 Opera Max saves data on popular music, video streaming apps like YouTube, Gaana, Saavn, Pandora, Slacker Radio and Netflix. For this experiment, we used Netflix over a WiFi connection. First We downloaded the following apps - Opera Max, Netflix and My Data Manager. Although the app works for saving both WiFi and Mobile data, to put the Opera Max app to test, we used a Wi-Fi connection. We downloaded My Data Manager as an independent app to verify the amount of WiFi data we use while streaming. 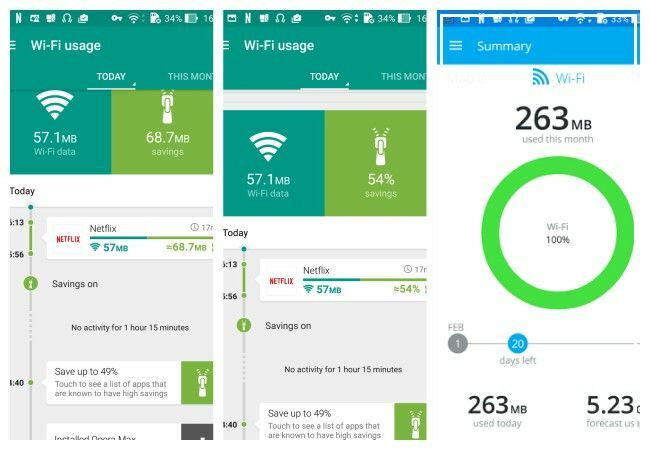 Even though the Opera Max app shows you the total amount of data you use & save while the app is compressing, we wanted to be sure that the usage stats on both the Opera Max & My Data Manager match for the sake of accuracy. The Opera Max app showed a total usage of 57.1MB for 15 minutes of Netflix, while My Data Manager showed a usage of 63MB in the same time period. So both apps showed different indicators for the amount of data used.According to the Opera Max app, what should have been 125.7MB of usage for 15 minutes of Netflix, finally turned out to be 57MB, post compression through the app. This is a total saving of 54% on data. The only catch is, when we used the My Data Manager app, 200MB of WiFi data was used for 15 minutes of Netflix streaming. So ideally, the Opera Max app should also have accounted for 200MB of projected usage while calculating the savings. On the contrary, Opera Max showed a projected usage of 125.7MB for the same 15 minute duration of streaming. Now, this discrepancy in data could arise because of fluctuating WiFi speeds and other Google apps running in the background during both tests. It could also be because our Netflix playback settings were set on Auto. When it comes to Quality, the stream routed through the Opera Max app was obviously of compressed quality. While buffering was seamless, video quality was very average; not too bad if you are streaming on a smartphone screen, but maybe painful to watch on an Android tablet. Apart from data savings, Opera Max is also useful when you are experiencing congestion in a WiFi network because of multiple users. Opera Max will give you an edge over other users as your compressed videos will load faster. 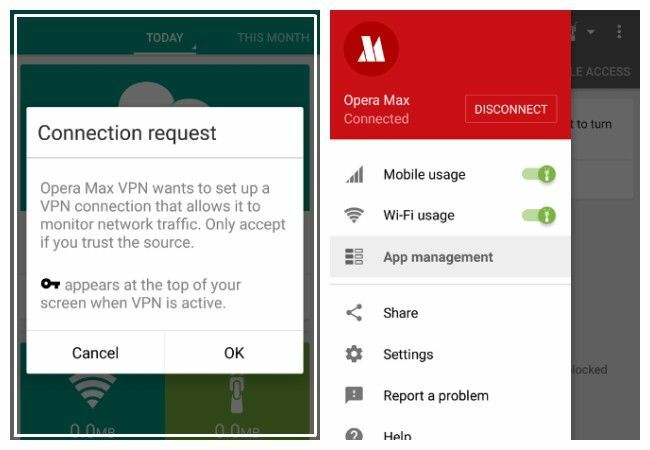 Other features of the Opera Max app include - the ability to block apps from running in the background and mobile and WiFi data usage tracking. It should be noted that Opera Max sometimes crashes on phones which do not run on stock Android. We pointed this out to Opera's Deputy CTO - Bruce Lawson, who told us that Opera is aware of the issue and is working to improve upon the same. Lawson also said that an iOS version of Opera Max is in the works and should surface soon. So try out Opera Max for Android and let us know if this quick feature helped you save some precious data.